A former slave gets his dream job building the Brooklyn Bridge, but finds himself at war with the gangs of Irishtown. Will the corrupt Metropolitan Police save or sacrifice him? 1863 Weeksville, Brooklyn: The free Black community of Weeksville becomes home to an unusually small boy and his mother who fled Manhattan during New York’s Draft Riots. When his mother succumbs to her injuries, the boy swears revenge against everyone and everything that contributed to her death. His diminutive size and acrobatic climbing abilities make him a spectacle to behold, while his awkward social habits make him an outcast to everyone in Weeksville, except the adopted family he swears to protect. When his step-brother is attacked, the boy becomes embroiled in a battle between the Irish Gangs and Whiskey Kings of Irishtown while the corrupt Metropolitan Police sit on the sidelines. The backdrop of the action is the building of the Brooklyn Bridge and the racial tensions of the period. 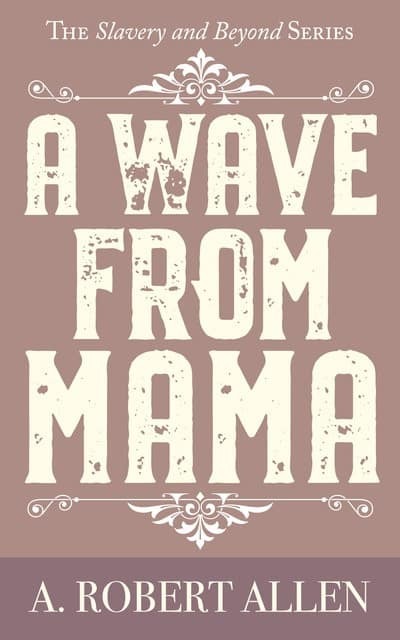 A Wave From Mama is a stand-alone story only connected in concept with Volume 1.